QR (Quick Response) was invented about 20 years ago by A Japanese company named Denso Wave. Nowadays QR is one of the most popular 2D barcode format. It is designed to store text characters like URLs, Telephone numbers, Addresses and whatever else. The good thing of QR barcode is that it can be read by mobile phone devices. Though it is very difficult to generate QR code by using PHP but thanks to Google because its has a nice API for generating QR codes. We can make QR codes very easily by using Google Chart API and it is absolutely free!. In this post I am going to show you two ways to generate QR code with php. First one is a simple function that returns Google Chart's direct link and second one is little bit advanced and tricky. 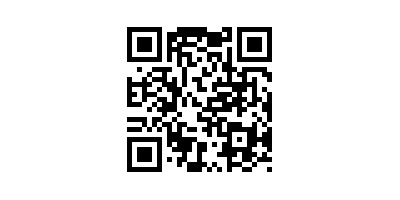 This function generates Google Chats API URL for QR code image. The another thing of this class is that it supports server caching and it is curl powered. Hi thank you so much for your post. I downloaded your code and i am trying to run it on my localhost on my laptop. i am nt able to get the qrcode!i keep on seeing a broken image. do u have an idea of how i can solve this! ham gia VÒNG PHỎNG VẤN MIỄN PHÍ và nhận HỌC BỔNG LÊN ĐẾN 100% từ đại diện của 40 trường đại học. Giờ style sành điệu là đồ vẫn phải đẹp, sang mà vẫn có thể vạch lên cho con ti mà ko bị hở. Hahha.